Secondary auxiliary compressor package to equalise pressure throughout the plant. 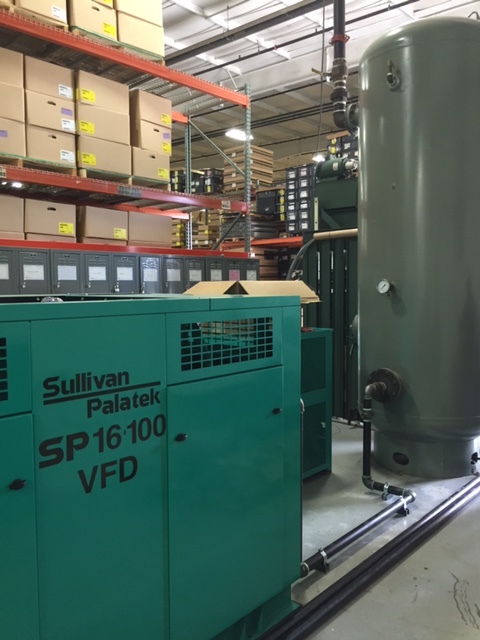 Sullivan Palatek SP 16-100 air cooled Variable Frequency Drive compressor. Sullivan Palatek SPTX 480A-436 cycling refrigerated air dryer (partially hidden).